Captions: Top Historical marker at Harwood Cemetery. Below Descendents of the Aray family attending the dedication of the historical marker. 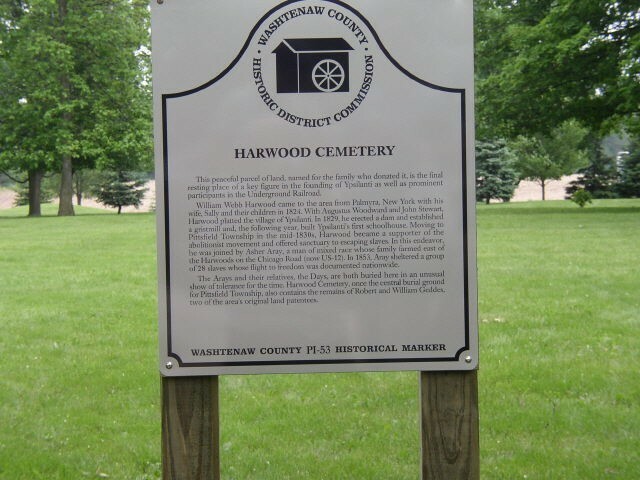 In 2004, the Washtenaw County Historic District Commission erected an historical marker, commemorating the significance of Harwood Cemetery. 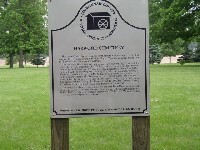 The text of this historical marker will be added to this page soon. The following list of burials is adapted from: Harwood Cemetery via USGenWeb. 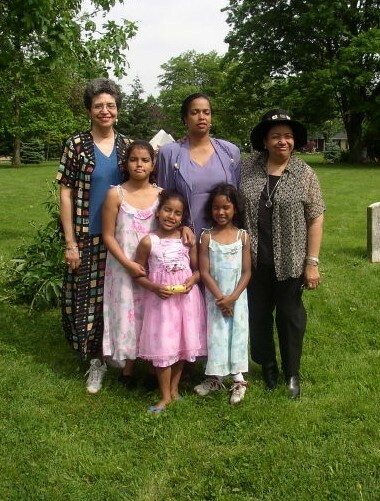 Paulette Quartermain donated the 1825-1940 (compiled in 1968) transcribed records for this cemetery to USGenWeb in December 2001.